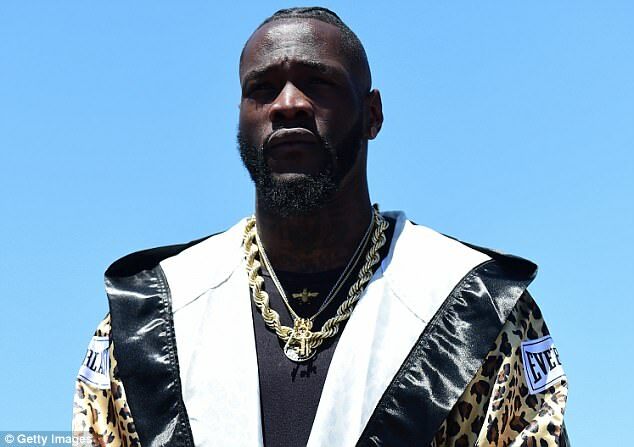 The “Bronze Bomber” Deontay Wilder has become increasingly frustrated with British boxer Anthony Joshua over his repeated snubs in fighting him. According to Anthony Wilder, Joshua is ducking the heavyweight unification bout that seemed like the logical progression for both fighters, but Anthony Joshua and promoter Eddie Hearn are believed to be in the process of signing for the Brit to fight Alexander Povetkin next. Whilst some people would say that Deontay Wilder’s words are in bad taste, he does seemingly have a point, since the Joshua and Wilder fight has been what boxing fans want to really see for a long while now, and it looks like they will have to wait even longer. Could Eddie Hearn and Anthony Joshua fear the abstract fighting style of the “Bronze Bomber”? After all, he has a 40 fight/40 win record, with 39 knockouts to his name. Anthony Joshua’s fight record shows that he has had 21 fights, 21 wins and 20 knockouts. Eddie Hearn has 24 hours to come to a decision on their bout and finalize the fight terms, and now it doesn’t look like there will be a Joshua v Wilder fight until February or March next year. Anthony Joshua is the WBA, IBF and WBO champion, and Wilder has the WBC belt, but the time is ticking for Joshua to keep a hold of his WBA title. The mandatory WBA challenger is Alexander Povetkin, a Russian challenger, who has a fight record of 35 fights, 34 wins, 24 knockouts and 1 loss to his name. The Joshua v Povetkin fight is slated for September, so it looks like Deontay Wilder will have to continue his wait. It remains to be seen whether the American will fight in the waiting period for Joshua, who he just called a “p*ssy” among other words.